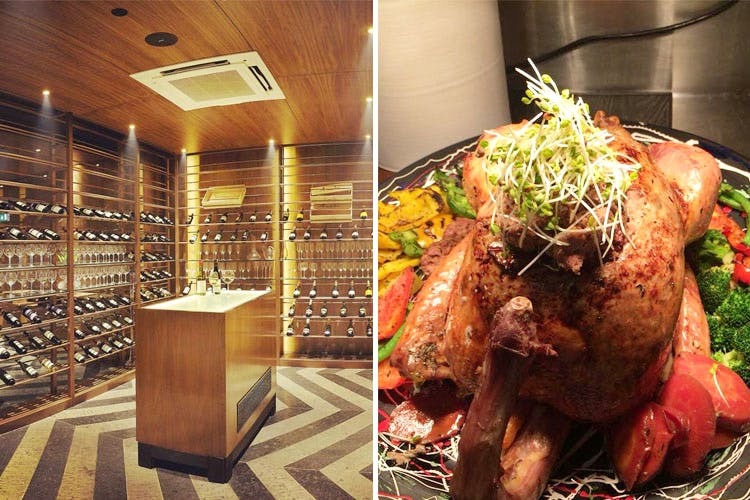 The Grill Room at The Lalit New Delhi should be your top pick out of the hotel’s restaurants when it comes to authentic European and continental cuisine and fine wine – they pair you with the perfect one for your meal. The Lalit New Delhi at Barakhamba Road has a line of fine dining restaurants offering different cuisines. Authentic continental on the cards? The Grill Room has the finest cuts of meat, seafood and poultry from all over the world. They import the most premium cuts from Japan & USA. Choose from appetisers like Cheese Empanadas, Wild Arugula and more and the Lobster Bisque for soup sounds like the ideal pick to us. They’ve got a range of seafood—from lobster to salmon and a steak section on the menu that has some top-of-the-line meats. They’ve also got delicious options in the vegetarian section. The menu also pairs every dish with the perfect wine to go with it, based on the sommelier’s recommendations. The bar menu has top shelf wines—red, white, and rose—and champagne. The wines are categorised by the region they come from, so be it a French red or a Spanish white, they have it all. If you’re in the mood for a fine dining dinner date, head over to The Grill Room at The Lalit for the perfect night.